From rugs woven using ancient methods to small, hand­crafted figurines, LuzLuna Imports has many pieces that will give your home a “World” flair. Our home decor items are affordable enough to buy when you are just starting out, but you will keep them for a lifetime. They are chosen for their rich feel and beautiful colors, and they will add personality to any room in your home. 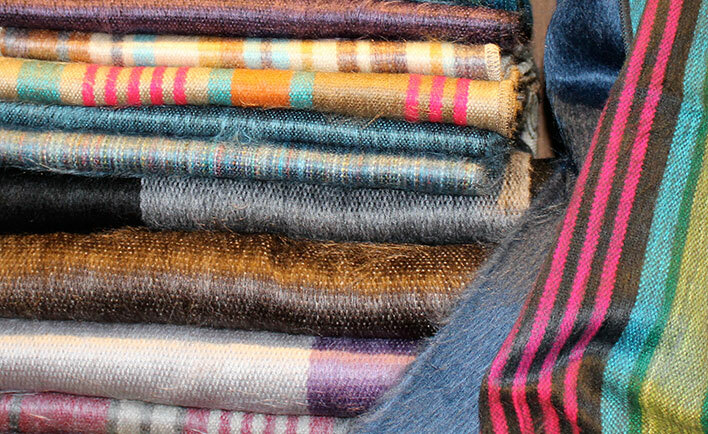 These Alpaca throws and blankets from Ecuador are so soft and cozy you will not want to get up. They are richly colored, so even when they are not in use they will bring warmth to your home. 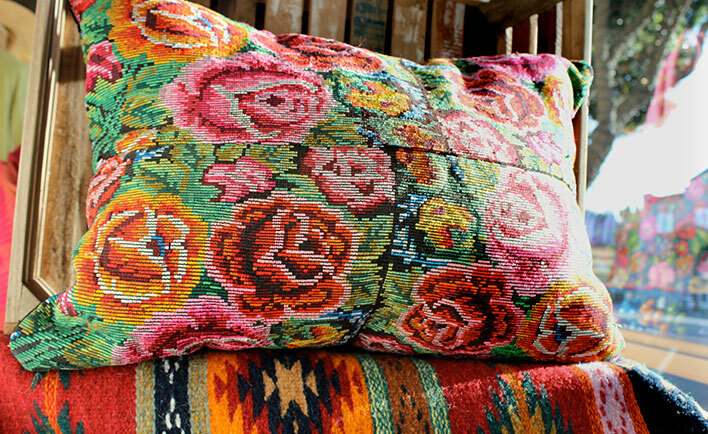 Add a splash of color with these accent pillows and rugs from Guatemala. All-natural fibers, vivid dyes, and traditional craftsmanship make these pieces you will treasure forever. 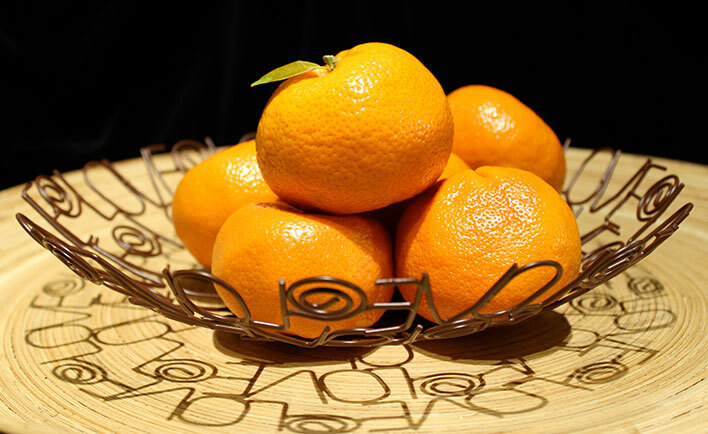 Funded by Noah’s Ark, the artisans in Kahlil Ahmad’s workshop in Milk Bujpur, India, turn trash into treasure with these metal bowls made from recycled wire. 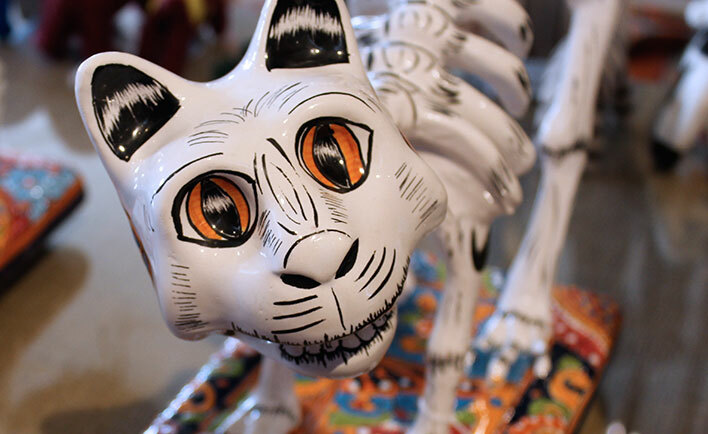 LuzLuna Imports has colorful, hand-painted ceramic skeletons, Calaveras, and Catrinas made by renowned artist Gerardo Garcia from Mexico. 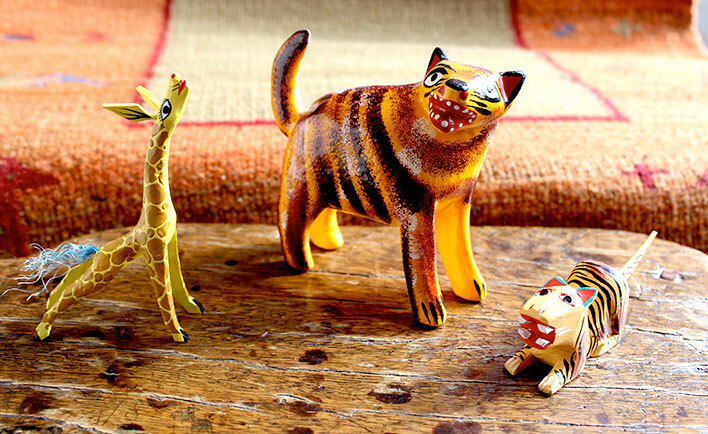 Traditional folk ­art from the Oaxacan Valley, each of these mythical creatures is hand-hewn, then meticulously sanded and painted in detail. A favorite of collectors, no two of these imaginative figures are alike.